--► This is the section that informs you of news of all kinds: from system updates to fun OOC games that have made headlines! Keep your eye on this section all the time, for you may see something that is either very important or very fun! --► Check out our (WO)MAN BEHIND THE MASK topic in the OOC area and take a look at some of the brave souls who posted their mugs on the forum. If you're brave enough, you can join them! This area will inform you briefly about the big updates, such as the plot! Look here often for important announcements, links, etc.! The plot that was started a few months ago has officially been canceled. I would like all members to bring their attention to --- THIS LINK! --- It is important that you read the first post and then respond. We want to know who is still around so that we can get things started again! Want to know where to get started? Well, get started here! This is the place where all of the rules for the forum will go, from general rules to systems. This is also the place to find announcements placed by our administrators. You should visit this area at least once a week to stay updated on current events! Come and introduce yourself to the other members of the forum! Everyone is eager to welcome you aboard! Comments, questions, or concerns? Put them up here! Members and/or staff will reply to you as quickly as possible, so that you are not left hanging at the door. This is the area where you will find in-depth information regarding each of the villages on the site! This is also the area where you will find the map of our IC world! This area is a work in progress, so bear with staff as this area is set up. This is where all approved applications will go, from characters to clans to jutsu to items. Take a look here if you want to read up on some of the characters and other things people have already made! This is the area where you will create your character! You will find the template in this area as well. Make sure you copy and paste it into your topic. The staff will not let you get away with following something else! This area is designated for the creation of clans! If you would like to create a character with a clan, and the clan is not in our database, you must submit the clan here and use the template that is provided for you. This area is designated for the creation of jutsu! 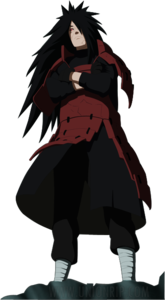 If you would like to create jutsu for your character, make a topic here and wait to be graded. As you can see, these are all of the shops that are at your disposal! If you wish to create a weapon, a piece of armor, an item, or if you would like to purchase ninja tools for your character, you will find all that you need in this area. You may also apply to upgrade the statistics of your character in the new Upgrade Shop! This area will hold information on the primary site plot. Look here often for updates to what is going on IC! Primary conflicts are closed until further notice from administration. This area holds all information regarding any sub-plots made by our members. Check here often for updates to them, along with the possibility of joining them! This is the area where you may converse about the primary conflict and the secondary conflicts that are currently unfolding. This area holds all information regarding conflicts of the past. Check here for the site's historical events and big conflicts! This area is where you will find information on the IC event that is taking place in the current time. Check here often so you can get in on the fun! This is the area where you may converse with other members regarding the happenings of the events that are taking place, or you may converse about the events of the past. This area is where you will find all information regarding events on the past. If you want to have some good reading material to pass the time, this is the place to go! Somewhere in the lands of Cherry Blossom Country, there lay an ancient civilization that has only resurfaced in recent weeks, literally. It has literally risen from the earth and shown itself to the world! What mysteries lie in store here? Only you can uncover the secrets that have risen from this uncharted city. Registration Status: Closed for membership until further notice! Somewhere deep in the vast jungles of the Sakura Country there is a hidden village. It is surrounded by all sorts of flora and fauna and has buildings and artifacts dating back centuries ago. Some have crumbled away under the constant sway of time and the elements, but nonetheless this village is magnificent. Surrounded by a large wall, this village has secluded themselves from the rest of the world. They rarely let in outsiders and are very catious. Unlike the other hidden villages who are subject to one or more daimyou, Hyouga is subjected to an emperor. The emperor lives within the walls of Hyouga. Somewhere far away from the coasts there is an island surrounded by countless hurricanes. There is a single bridge going to the island connecting them to the mainland. On this island, one of the largest hidden villages exists. Hidden in the midst of the raging storms that terrorize the outskirts, it has become known as fierce country with a powerful army. Countless time they have engaged into war with others in the past over pride, territory and resources. Long ago, before the war, this village used to recognized as one of the strongest. They managed to repel almost any attack deep from within the dormant volcano they were settled in. Now, it is just a place filled with ruins that are still burning. One of the wealthiest hidden villages that is currently around. During the war, Tsukigakure no Sato managed to break through and become recognized as one of the great. They are known for having a large marketplace where merchants from everywhere come to sell their goods. Going somewhere? Post your travel logs here to move from one country to another. Take a break from roleplaying here and immerse yourself into the randomness that the OOC section provides. Ready to rumble? Engage into battles with your fellow shinobi here without getting restrained by forum rules. The rules in here are set up by you and your opponent. These battles are all OOC. Have newly approved jutsu to train? This is where you will do all of your training topics. Sharing your ad can be done here or even requesting an affiliation with us. We'd love to exchange buttons. We ask you to have a guest friendly advertisement section as well otherwise your ad shall be removed.